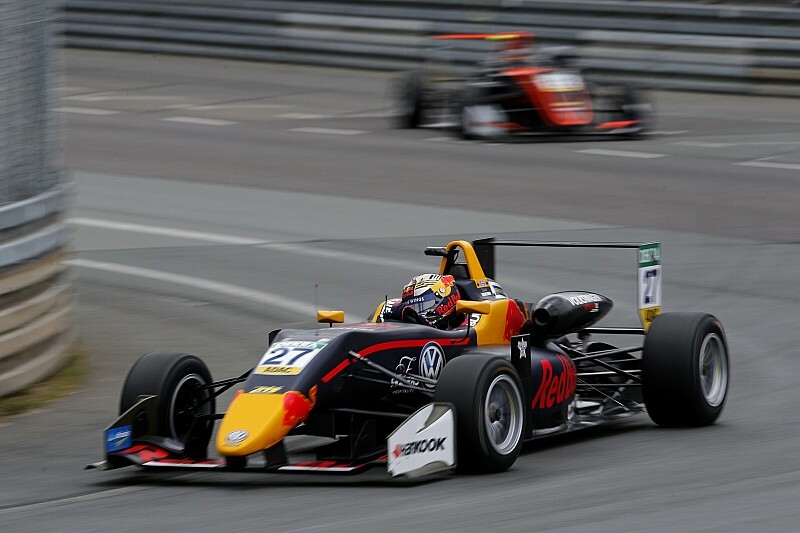 Red Bull junior Dan Ticktum pipped Motopark teammate Juri Vips in a thrilling-but-shambolic finale to the Formula 3 European Championship weekend at the Norisring. 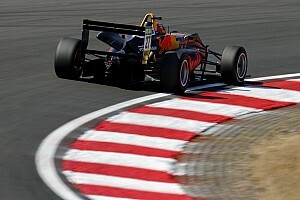 Ticktum beat Vips by just 0.057 seconds in a photo-finish, after what effectively became an eight-lap sprint following a red-flag and safety-car-infested race. Poleman and new championship leader Marcus Armstrong made the most of his pole position, while Ticktum took advantage of front-row starter Vips’s relatively poor getaway to move into second. 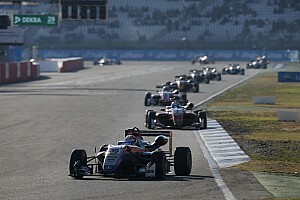 But Alex Palou was hit on the exit of the Turn 1 hairpin by Nikita Troitskiy in the opening-lap scramble, and Jonathan Aberdein and Ben Hingeley were also involved in the chain reaction. Palou was the only one to continue behind the subsequent safety car, before his left-rear suspension collapsed and he retired to the pits. After 11 minutes under caution and tardy work by the marshals with unsuitable tow cars, the race was red-flagged and the flatbeds that should have been called out earlier finally appeared. Before they even got to the startline for the restart, Keyvan Andres was in the barriers at the Dutzendteich hairpin after a collision with Mick Schumacher, and the race went under safety car again. After the next restart, Ticktum chased Armstrong for one lap before he went around the outside at Turn 1, putting him on the inside line for the first part of the following chicane, and he pulled off a superb pass for the lead. 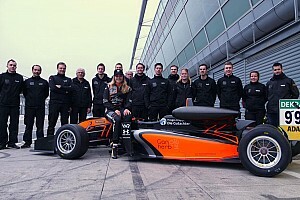 But by this point, Sacha Fenestraz had been taken off at Dutzendteich in a chain reaction caused by Schumacher punting Artem Petrov into the Renault junior, causing another safety car. Vips spent most of the first lap following the final restart trying to find a way past Armstrong, before spearing down the inside at Dutzendteich. He then set off after Ticktum, Vips enjoying superior traction out of Dutzendteich to move into the leader’s slipstream. Into the final lap he drew alongside at Turn 1, but Ticktum held firm. Ticktum then had to defend at Dutzendteich, but Vips used the traction once more to draw alongside on the run to the line, falling short by half a tenth. Armstrong lacked grip but still managed to hold off fellow Prema Powerteam driver and Ferrari junior stablemate Guan Yu Zhou for third. In turn, Carlin’s Jehan Daruvala fended off Prema man Ralf Aron – up from 14th on the grid – for fifth, with two more Prema cars – Robert Shwartzman and Schumacher – in his wake. Schumacher was penalised out of the points for his role in the Petrov/Fenestraz incident. Enaam Ahmed was embroiled with the Prema cars, and the Hitech GP man slipped back to ninth on the road, with Ferdinand Habsburg (Carlin) hard on his heels, while Schumacher’s penalty allowed Motopark’s Sebastian Fernandez to claim the final point.